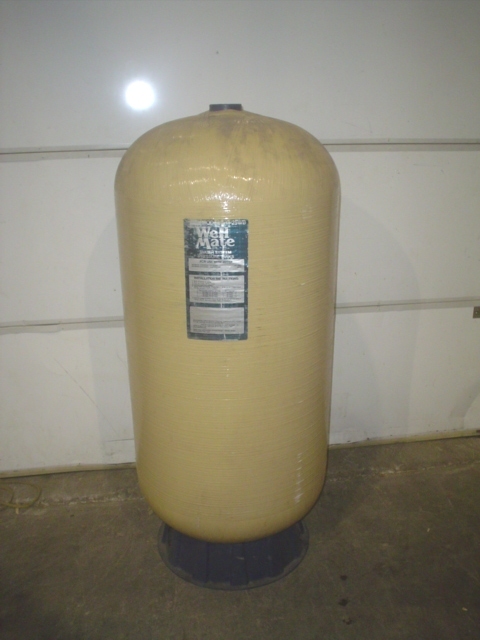 Used Well Mate Model WM-25WB Water System Pressure Tank. This tank has a capacity of 86 gallons, with a Maximum Operating Pressure of (psi/kPa/Bar) 125/862/8.6. Overall Dimensions: 24” Diameter x 54” Height. Delivery Time: Immediate.